Hekab Be Biblioteca ~ Open Road Community Library: Help Bring Music To The Kids Of Hekab Be This Summer! Help Bring Music To The Kids Of Hekab Be This Summer! The children of Akumal Pueblo are eager to begin summer school at the library. Last year donors generously helped support 70 children (full or part-time) for enriched learning experiences. This year we hope to provide spaces to as many kids as in past years. This summer, a music teacher will help the children create their own choir! They will be learning patriotic, Mexican and Mayan folk songs for performances during the Summer and upcoming Mexican Independence Day celebrations in September. Music is a universal language and recent scientific research shows a link between children’s training in music and the development of other mental abilities. 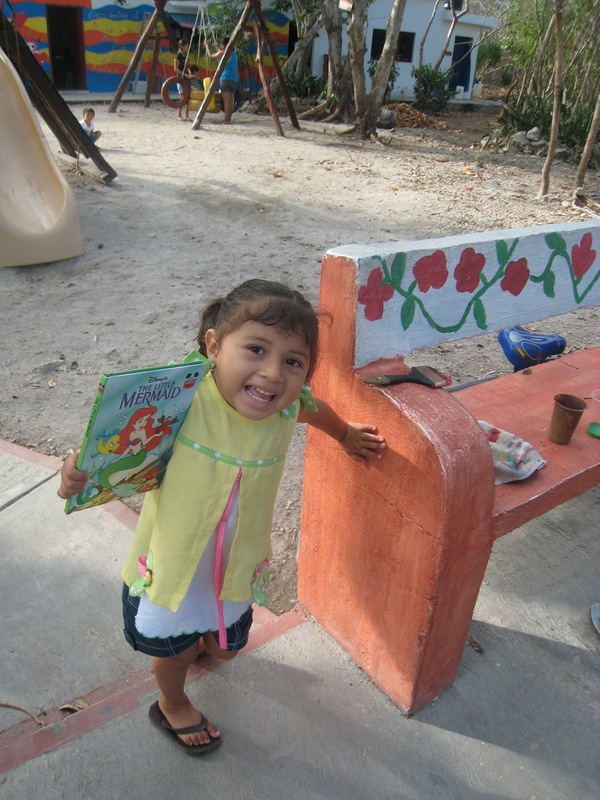 Children in the Akumal public schools do not receive any music instruction. PLEASE HELP THE CHILDREN OF HEKAB BE TUNE IN TO THE JOY OF CREATING SHARED MUSICAL HARMONIES!! Besides music instruction, the children will continue to solidify and increase their reading and math skills, have fun through exercise and games, and join their families in expanding and harvesting their garden. You can help by supporting 1 or more students, at $45 per student for the month long intensive course. Summer school is 4 weeks long from mid-July to August. This pays for staff, water (YES, we have our own water now), electricity, sheet music, toilet paper and soap for our fully functioning bathroom (HOORAY), healthy snacks and other Summer School necessities. Our goal is to support as many students as possible AND to provide essential library support. PLEASE, team up with neighbors, family members, and friends to make donations for the best Hekab Be Summer program yet!